« You know he’s a keeper when…. That is way creative. I would have never thought! It looks amazing put up! It reminds me of my grandpa who used to take old cattle posts and cut them up into picture frames with that worn washed out wood look. Your grandpa sounds awesome! Old windows are also great for framing. Thanks for your comment! We are the “picker family” that’s for sure!!!! I remember arriving at your house and saying that we had to go get the ladder NOW before it got dark and before someone else spotted it and Steve didn’t bat an eye =) There’s endless uses for an old rustic ladder – hang quilts on it, bath towels in the bathroom, in a garden as a terllis, and of course a book shelf, or just simply all on its’ own propped up against a wall as a prop. 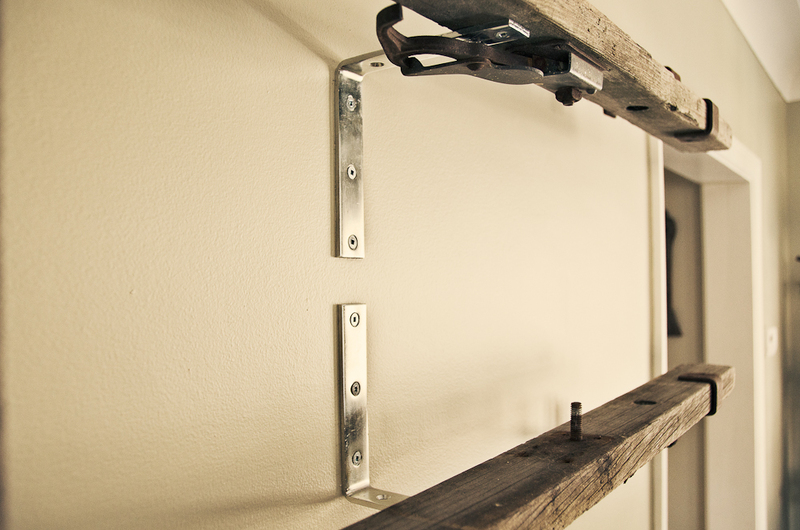 In person your ladder looks stunning and is perfect for that one large wall. Great finds end up with great inspiration and great stories!!! That is awesome! I love it! When we get our I’m place totally going to steal this idea haha 🙂 I am always looking for cute new ways to store my books! Nice. I like this. 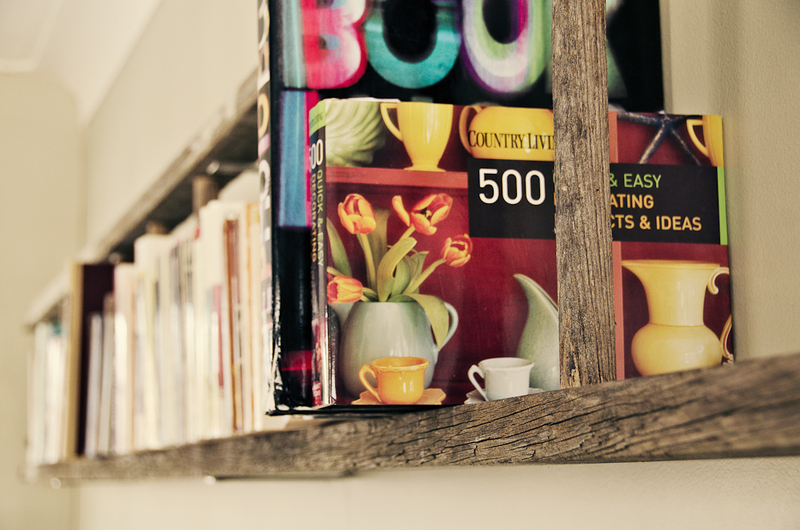 Not feasible for us – it wouldn’t work with our decor – but in an older house like yours it fits perfectly. Suits the character of the space. on October 23, 2014 at 10:02 am | Reply Crafting a Green World | The home for green crafts and tutorials! 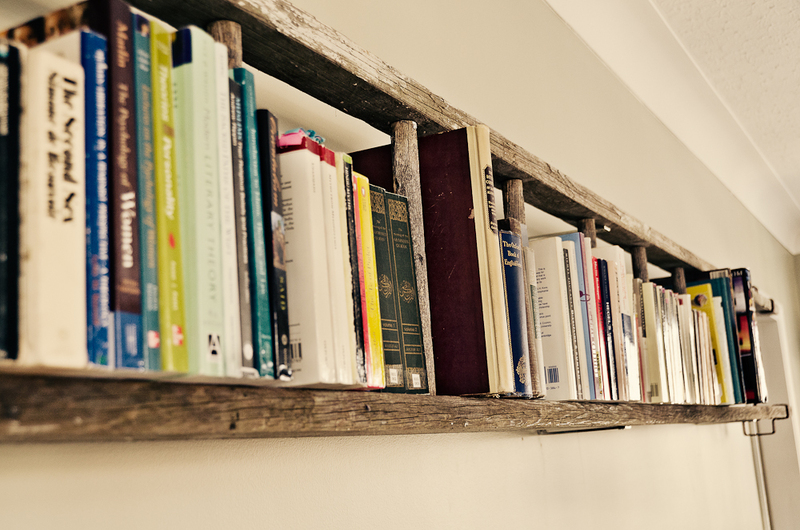 I love the rustic,antiquey feel of the ladder bookshelf. And it looks much different than the usual ladder bookshelves too! Thank you for the idea! Thank you for a great little tutorial. I just recently put up a ladder- and it looks pretty awesome! Everyone who sees it love the idea as well. I have a question about making sire the ladder is secure. The ladder isn’t simply resting on the L brackets, right? How to you get it tight enough that you don’t have to worry anout the ladder shifting? Have you had any issue with that? 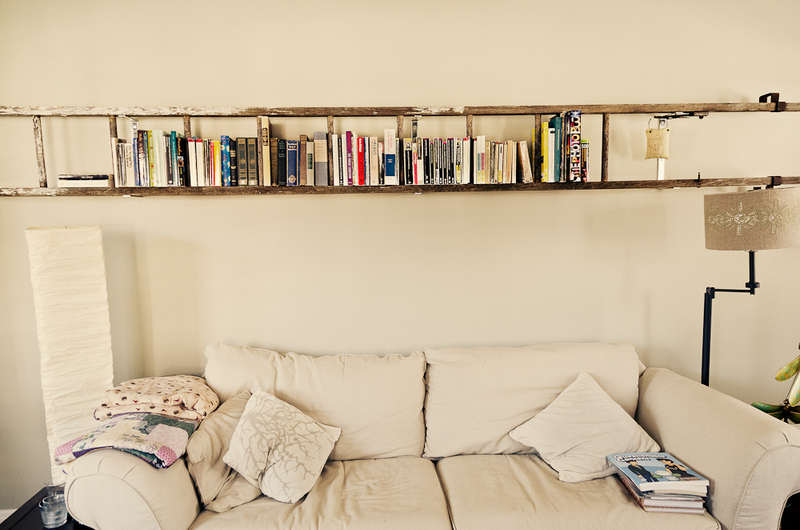 Also, do you have an idea of how far from the wall the ladder should be or maybe this depends on the books you have. Look forward to hearing from you. Thanks for your help! I have an old 8foot wooden ladder. do you think I need 6 L brackets or I could use less? I am not loading books or anything too heavy Thanks, Kim H.